Do you want to choose right outdoor furniture for your Patio, Backyard or Garden? Here are some ideas for outdoor furniture. The furniture used outside home, office, hotels is called outdoor furniture. 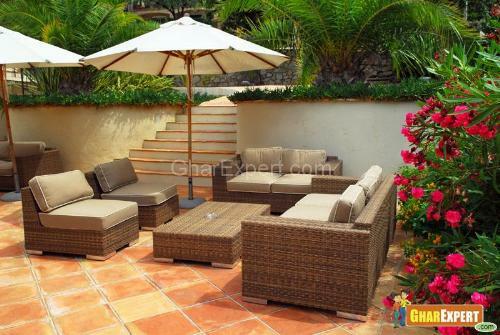 Garden furniture is called Outdoor Patio furniture which is specially designed for outdoor use. Outdoor furniture is typically consists of weather resistant materials like Cedar, Wicker, Wrought iron etc. The outdoor garden furniture includes benches, tables, chairs, dining table, garden swing, pool side chairs etc. 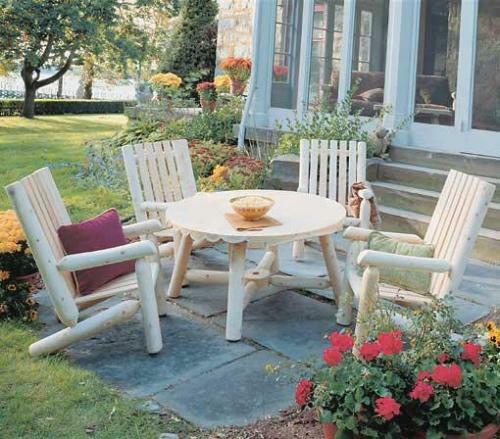 Here are given some types of outdoor furniture. 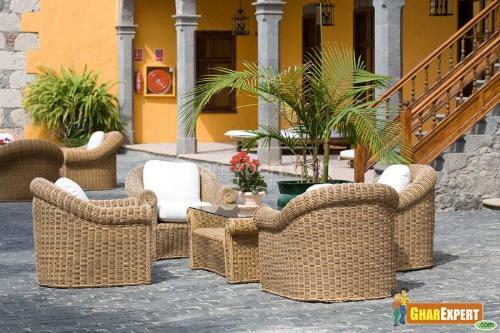 Outdoor Wicker furniture is popular for interior as well as exterior and consists of flexible branch, vines of bamboo, rattan, reed or synthetic material that is woven into a pattern. The furniture is light in weight; easy to position anywhere in exterior and can easily be moved to indoors when the weather changes. All weather proof Outdoor weaker furniture is made from resin wicker as it can hold harsh weather conditions. Outdoor Wicker furniture is affordable due to the use of inexpensive materials. Wicker chairs, tables, Loveseats, stools and porch swings are available in market for exterior purposes. Cedar furniture is popular as outdoor furniture for its durability, resistance quality and easy maintenance. This hardwood produces natural oil that keeps the furniture from cracking, drying or fading. The sweet smell of cedar exterior furniture is highly appealing. In fact the scent that comes from oil is naturally released by the cedar. Also Cedar is resistant to fungus. That’s why people prefer cedar furniture for their decks and gardens. Outdoor Wrought iron furniture is an elegant and affordable way to liven up your exterior. It is one of the most popular outdoor furniture that most people want for exterior of their houses. As Outdoor wrought iron furniture comes in different designs, shapes and styles, the popular types of Outdoor wrought iron furniture are marble finished, grafted and comes with cushions also. The furniture gives us the choice of furniture that is decorative and functional. The furniture offers comfort and beauty to the exterior. 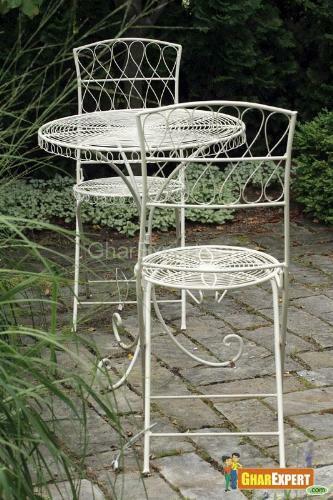 Outdoor Wrought iron furniture is extremely durable and is a good choice for outdoor furniture.